It seems like every time we walk into the wine shop these days, there’s somebody asking about natural wine. But what is natural wine exactly? While the rules for making natural wine are not regulated by any governing body, there are a few characteristics that distinguish vino naturale from its standard counterparts. Grapes are farmed organically without using pesticides or artificial chemicals. Grapes are harvested and de-stemmed by hand. This ensures that only the highest quality grapes are used and helps keep them from getting damaged. The fermentation process begins spontaneously with the same yeasts that are present in the vineyard and cellar instead of laboratory-created yeasts. Natural wine is made without additional sugars, yeast, or processing aids. Very little, or no preservatives, including sulfites, are added. WHAT DOES NATURAL WINE TASTE LIKE? Due to the lack of filtration, natural wines can also be cloudy, with sediment particles on the bottom of the bottle. And thanks to that, sometimes they can taste more like kombucha or sour beer than a traditional wine! WHAT SHOULD I LOOK FOR WHEN I BUY NATURAL WINE FROM ITALY? 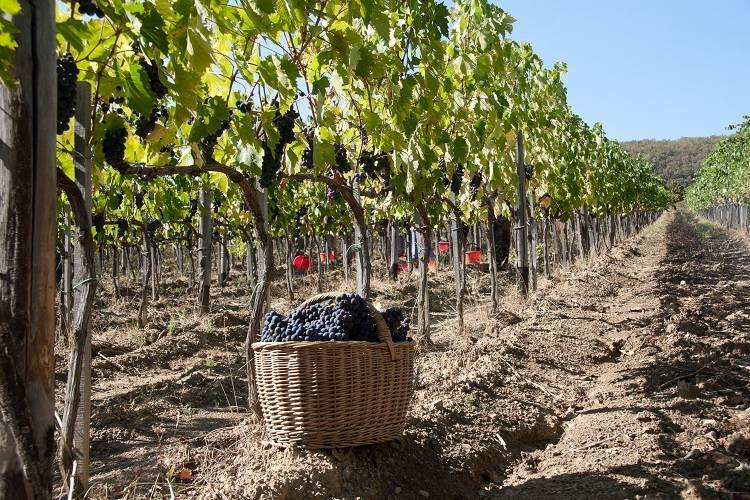 The rules for making natural wine in Italy are vague and there isn’t the standard certification DOC, DOCG, or IGT labels that many other Italian winemakers follow. (Refresh your knowledge of Italian wine certifications here!) Some Italian natural wines will say vino naturale on the label, while others may be made naturally without any indication. In 2008, an association called VinNatur was founded to help create a system that guarantees the quality and authenticity of natural wine. They currently have more than 170 producers throughout nine different countries in Europe, with the majority in Italy. In addition to bringing together natural winemakers from around the world, VinNatur is trying to establish some rules. In 2018, VinNatur published a set of guidelines and rules for producing natural wines. HOW SHOULD YOU STORE NATURAL WINE? 1. STORE IN A COOL, DRY PLACE. Keep natural wines in a cool cellar or fridge, below 80 ºF (26.7 ºC). 2. KEEP AWAY FROM LIGHT. Place natural wines away from all light sources. Once opened, store bottles sealed with a cork in your fridge. Consume natural wines within two to three days after opening.